for $290,000 with 4 bedrooms and 3 full baths, 1 half bath. This 2,252 square foot townhouse was built in 2017 on a lot size of 0.05 Acre(s). 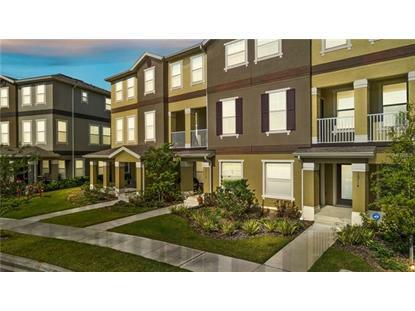 MOVE IN READY, 3 Story, 4 bedroom / 3.5 bathroom townhome in Ravinia At East Park Near Lake Nona! This DR Horton built, 3 level townhome fronts a beautiful pond with a fountain and backs up to a conservation Ã¢‚¬' NO REAR NEIGHBORS! The front porch welcomes you as you make your way into the light and bright foyer. There is one bedroom and a full bath on the first level, with its own private entrance - a French door leading to the front porch. The second level features the upgraded kitchen with 36Ã¢‚¬ Espresso cabinets with crown molding, granite counters, stainless steel appliances, closet pantry and breakfast bar. The dinette & kitchen overlook the conservation. The kitchen opens up to the large family room that has beautiful water views! The office/den off the family room has a French door leading to a balcony where you can enjoy your morning coffee or relax after a long day while enjoying the beautiful water view! On the third level, you will find the owners' suite and two additional guest bedrooms that share the upgraded guest bathroom. The owners' suite features a tray ceiling, walk in closet, en-suite bathroom with a granite 'adult heightÃ¢‚¬ vanity with two sinks, a large tiled shower, separate soaking tub and water closet. 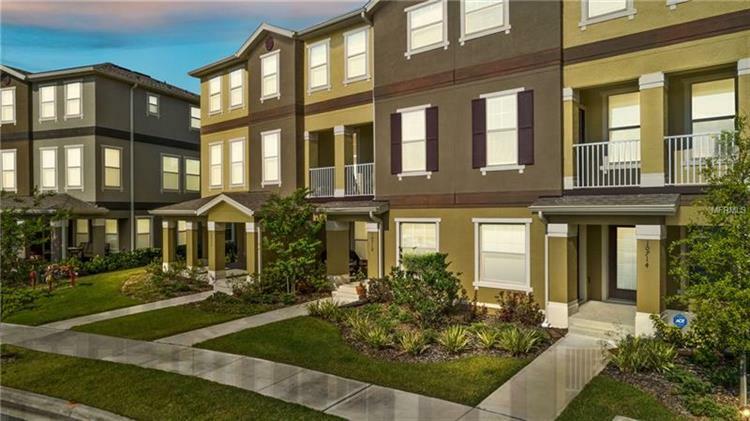 This community features tennis courts, a playground, and basketball courts and is minutes from Medical City, highways, Orlando International Airport, the US Tennis Association and great dining and shopping. Make this home yours today!